An LVN or Licensed Vocational Nurse is defined as a person who provide care to patients with the direction of nurses, doctors, and other medical professionals. This job title is only specific to Texas and California. In other states, these care providers are known as Licensed Practical Nurses. The basic duties of an LVN is to attend to patient’s needs. When the LVN cannot meet these needs, a physician or other professional will then be contacted. For instance, an LVN takes a patient’s vital signs: temperature, pulse rate, and blood pressure. If the results show that the patient is out of the normal, then the LVN will report to the doctor. Since LVNs act as a middle man between the patient and doctor, they should accurately deliver information. How to Become an LVN? Educational requirements differ from state to state. Generally, you will need to graduate from a vocational nursing program offered by community colleges or vocational schools. These programs both have classroom and clinical training and subjects that include physiology, anatomy, pharmacology, first aid, pediatrics, and patient care. In some states, those who have completed nursing training programs need to take the National Council Licensure Exam (NCLEX) in practical nursing to get a license. A licensed vocational nursing provides a career in occupational therapy. As an occupational therapy assistant, they help disabled and ill patients with their everyday tasks and help accomplish them. In order to have a permanent occupation on this field, an associate degree is needed plus state licensing. Reports have projected that there will be a growing need for occupation therapy assistants in the next ten years. Another career path to take is becoming a Registered nurse. It requires a nursing diploma, various nursing degrees, and passage of the NCLEX. The same research above shows that there will be an increase in job opportunities for Registered nurses until 2020. Licensed practical nurses (LPNs) are a few of the most crucial individuals in the nursing care field. They assist the RNs with their tasks and make their job a lot easier and improve the quality of services. However, LPNs do face certain challenges once they make an effort to execute their jobs. A few of these challenges are the effects of the legalities of nursing. LPNs are restricted with what they are should do, which sometimes make challenges for an LPN who needs to rely on the RN for a lot of things. One of the difficulties for LPNs, particularly in this tight job economy, is locating a spot to work. Many hospitals restrict their employment to registered nurses alone, which is frustrating for LPNs who wish to operate in acute care settings. Some hospitals do hire LPNs, usually in roles which have less authority and therefore task-oriented. LPNs will find jobs in nursing homes, however they don’t have the authority, and they will still work under the supervision of a registered nurse. Again, the LPN might be reduced to roles like medication nurse or treatment nurse rather than getting full care of the patients. Some centers, like dialysis facilities only hire RNs to operate the dialysis machine and care for patients. For many LPNs, this lack of diversity in job possibilities could be a challenge. LPNs are frequently restricted with what they are able to do because, legally, they are bound with the task of delegation. An LPN cannot assess, identify or evaluate care since this is the job of the RN. Sometimes, this is often frustrating to have an LPN who may have heard what must be done and can’t really get it done. An LPN may even disagree with their supervisory RN, and can be powerless to alter the duties they’re assigned to accomplish. This concern is surmountable, though you can’t alter the laws and regulations regarding patient care, however, you can cultivate a good working relationship with the RN, to supply the very best care for that patient. Simply because an LPN is assigned a particular task it doesn’t mean that she or he can’t do anything like when a patient is getting breathless. When the assigned RN does nothing or ignores the problem, the LPN can assist the patient. Despite the fact that LPNs are technically beneath the RN within the chain of command, they are able to still impact a patient’s care. 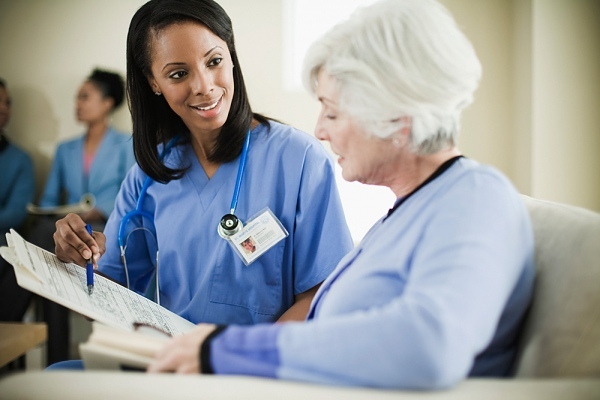 In certain situations, an LPN with two decades of experience will discover that the new grad nurse is their supervisor. This can be a challenging situation since the LPN likely knows a little more about patients, their diseases and just how to perform than an RN who has limited experience. Again, it’s a legal anomaly that needs the RN to delegate towards the LPN. If the RN doesn’t have a good deal of experience, an LPN must understand how to approach the problem. 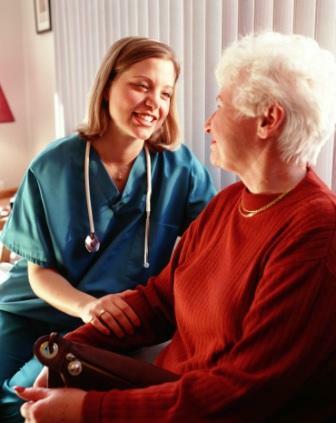 Communication between your RN and LPN is essential towards the proper care of the individual. An LPN who assumes that the RN knows what they’re doing can harm the patient. An LPN must be a good communicator along with a nurse who understands how to manage people. Good communication will resolve this issue and will improve the quality of the health care. The LPN or the Licensed Practical Nurse works under the supervision of a physician and/or a registered nurse. They take care of the sick, injured, recovering and disabled in a variety of health care settings. The LPN’s job includes measuring and recording of the patient’s weight, blood pressure, height, pulse, rate of respiration, and temperature as they enter the hospital. These data is needed by the physician to have an accurate diagnosis of the patient’s diseases or illness and to know the right medication for them. There are states that allow LPNs to prescribe medication, operate devices and conduct basic laboratory tests. The direct care provided by LPNs is supervised by doctors, registered nurses and advanced practice nurses. The student can either take the LPN preparation program in a hospital, community college or vocational-technical school. When the students fully satisfy the required training, they are then eligible to take the license examination as an LPN. They are immediately allowed to apply and work in a hospital. It’s quite easy to get the LPN certification, but it requires much effort when it comes to the work requirement. Most of them are required to work a 40-hour week, but in graveyard shifts or sometimes in weekends and holidays. They sometimes need to work standing and moving, to assist fully the patients who need care and monitoring. This job requires physical fitness for the LPN in order to fulfill the job requirements. The LPNs can either continue with their studies or remain in the same position. The work requires patience to deal with a stressful workplace just like any other healthcare job. If you want to be an LPN, make sure you have the passion for patient care for you to last long with the job. 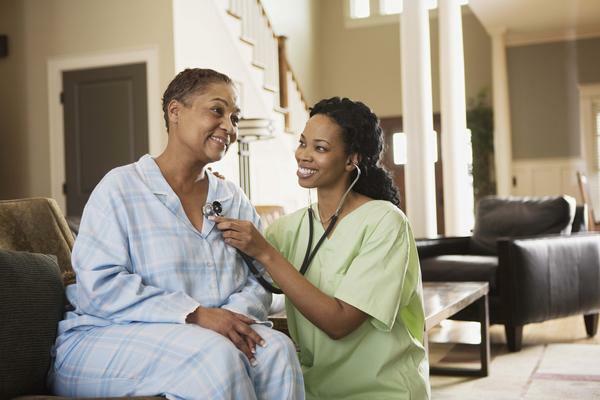 There are many different healthcare facilities where you can work as an LPN, such as in physician offices, public and private hospitals, home healthcare services, and community care facilities for seniors. Some LPNs may even work in laboratories maintaining equipment usability and effectiveness. An LPN may be able to work as the school nurse but would need to check with the state licensing board first to see if they have completed the qualifications. They could also help formulate a nursing plan for a patient or teach community information classes. They could also work as a home health aide, going to various patients’ homes to help with their daily care, take their vitals, note any complaints, and report such to the patients’ lead general practitioner. The institution where an LPN works will determine the work schedule. In a hospital setting, they could work any shift, weekends, holidays, and sometimes on call. There are some LPNs who work twelve hour shifts that can be from 7 am to 7 pm, or be odd hours like from 11 am to pm. In some places medical facilities, like hospitals, you may be called a “floater” which means that the LPN would be stationed in a defined area of a hospital, and help out where ever the need arises. And depending on the facility, an LPN might be assigned a certain number of patients each day for which they are accountable. An LPN may give injections and oral medications to patients. What exactly the duties of an LPN would be, again, depends on medical facility’s choice of duty assignment. They may be on their feet their entire shift apart from breaks and you may also have to help patients if they have fallen, have difficulty getting to their feet after being in the bathroom, etc. This is a job that can be hard on your back and feet so the applicant must need to make sure that they are in good health and with great determination to pursue. What exactly is an LPN? LPN stands for “licensed practical nurse.” This kind of health professional usually works under the assistance of a doctor and can be in charge of a number of care-taking obligations, such as patient eating, medical record upgrading, patient phone answering and vital sign tracking. In a few states, an LPN is allowed to manage intravenous medication simultaneously. In California and Texas, an LPN is generally known as an (licensed vocational nurse). On the healthcare structure, an LPN takes on more liability than a certified nurse assistant, however not quite up to an RN. Getting a person to be able to become an LPN, one should have his/her high school diploma or comparative and then complete a practical nursing program. Upon class conclusion, a student must successfully pass the NCLEX-PN to become an LPN as legally certified. There are lots of colleges that offer LPN training on the internet, so that everyone could study from home in his/her time and never have to stop his/her work. Some things to consider when trying to find a web-based LPN program consist of price, time independence, specifications, and lecturer supply. Think first about how much time you have to review within an on the internet LPN program. You should be able to complete your training on the internet without having to compromise your entire day job. Maybe you also have family to consider. Moreover, you should be sure to check out price to produce to make sure that applying is not going to set a huge decrease in your budget. Also be sure to consider any specifications that a program may have. Many on the internet LPN plans will require only a high school diploma, but it never hurts to double-check this. Also consider your computer specifications as well. 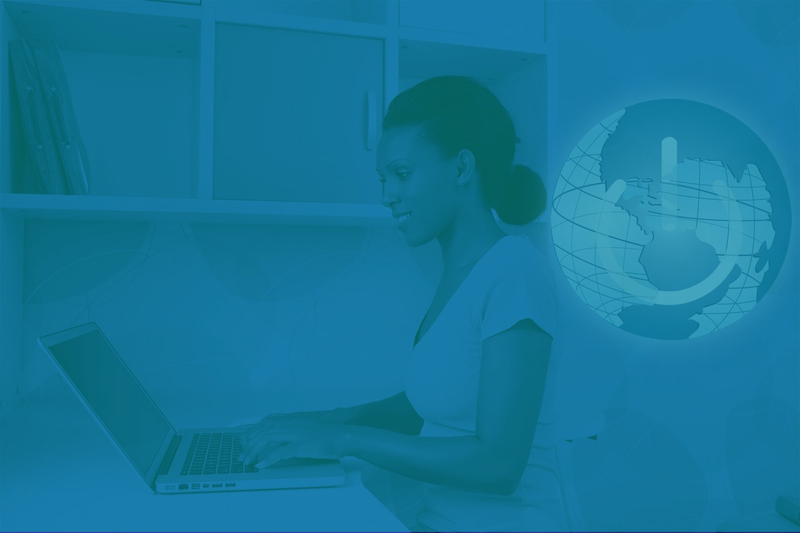 Make sure you have a reliable Internet access and a powerful word processing program and you should be all set. Lastly, it is regularly beneficial if you can be in touch with teachers during the course of a class. Some programs allow more interaction than others. You will absolutely wish to think about this aspect also. Licensed practical nurse, or LPN, is the term used in much of the United States and Canada to make reference to a health professional that, according to the Occupational Outlook Handbook of the U.S. Department of Labor, cares for “people who are sick, harmed, convalescent, or impaired under the direction of RNs and doctors.” The term licensed vocational nurse (LVN) is used in the states of California and Texas. Nowadays, LPN jobs are improving in number every year, a result of the great need for licensed practical nurses. The primary reason is because the elderly population is increasing. The elderly of course have higher cases of medical concerns and injuries, thereby requiring the professional services of licensed practical nurses. Even if licensed practical nurses share a lot of the same responsibilities as RNs, practical nursing income is still clearly lower as opposed to the income of RNs. This is so because, the registered nurse’s training and education is more intense in comparison to LPNs. RN learners spend two to four years finishing the degree, while LPN learners finish their program in one to two years. A licensed practical nurse income can range from $30,000 to $50,000 per year. In certain situations, however, LPNs can generate more than $53K based on several factors. The first part could be the facility they work in. Individuals who are employed in health care institutions generally make more than those who work in home healthcare facilities. The licensed practical nurses who work in medical centers typically have the lowest rates. Another part which could impact income is the location. LPNs who work in larger places usually get paid more, because the population of people and living costs are both great. LPNs with longer experience also have greater incomes. Those that are new to the job usually make around $29,000. LPNs with ten to 20 years of experience generate around $39,000. Normally, those who want better income continue their education and training to become RNs. Due to an aging population in need of assisted living care, wellness care is a booming field looking for many new workers. If you are considering starting your profession in wellness care or making a career move, becoming a licensed practical nurse or LPN, might be a wise decision. However, if you do not have the time or resources to attend school in-person to study for a new credential, an LPN online class might be a great choice for you. Licensed practical nurses are healthcare staffs who work under the direction of doctors and RNs. LPNs provide many kinds of primary bedside care. Their responsibilities often include dressing wounds, measuring and rewarding vital signs and assisting with bathing and feeding. LPNs also assist RNs and doctors in administering a variety of tests. LPNs work in many areas of health care, including home health care, assisted living facilities and long term care facilities, and in physician’s offices. Highly experienced LPNs sometimes have supervisory responsibilities where they are in charge of healthcare aids and assistants, as well as more inexperienced LPNs. In some jurisdictions, LPNs are also able to administer medications, take care of sufferers dependent on ventilators, as well as start intravenous fluid therapy. 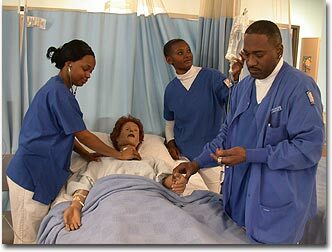 In the U. S., licensed practical nurses generally need one year of training at a college or technical/vocational school. LPN training programs can be completed in person at a university or technical school, or through an LPN online class offered by one of these kinds of institutions. These programs generally need a secondary school degree for admission and generally combine classroom research on primary healthcare topics as well as supervised clinical practice. After completing this course, newly-graduated LPNs must pass a nationwide licensing exam (NCLEX-PN) to become a fully-licensed LPN. The major difference between licensed practical nurses and RNs in the U. S. is the number of years of education each one undertakes. Licensed practical nurses generally complete a one-year program, whereas RNs generally have either a two-year college degree (RN) or a four-year undergraduate degree (BSN). As well, depending on the jurisdiction, LPNs and RNs have differing scopes of practice; RNs are generally able to work more responsibilities and work with less stable sufferers. LVNs, the acronym for licensed vocational nurses, observe patients and provide basic care to them under the guidance of RNs and other medical professionals. This profession will be popular over the next several years. Over 24 percent growth is predicted. To get into this fulfilling profession, one can enroll in any LVN educational institution. A profession as an LVN needs a certificate to practice professionally in any state in the country. A state nursing board manages and provides rules for all nursing professions, and accredits LVN educational institutions. The education generally continues about a year. Approved LVN programs include syllabus in a variety of topics such as chemistry, pharmacology, math and the important features required for individual care. Learners also obtain realistic training in a clinical atmosphere. After completing the LVN program, students take the National Council Licensure Examination, also termed as the NCLEX-PN. LVN applications prepare students for the examination, which is administered by the Board of Nursing. Many LVN educational institutions also assist students in finding a job after finishing the program and passing the NCLEX-PN. LVNs can work in a wide range of medical wellness care environments. This includes medical centers, assisted living facilities, house medical wellness care, community wellness care facilities, as well as in physicians’ workplaces. The growing need for the medical staff also allows them to work for nursing agencies and travel to different business employers for short- and long-term projects. The job responsibilities vary by employer. In a hospital, LVNs may help patients by bathing and feeding them, checking vital signs and ensuring patients take their medication. LVNs have similar obligations in assisted living facilities. In house medical wellness care, they execute a wide range of scientific responsibilities, as well as some light cleaning and may run tasks for their patients. In physician’s workplaces, most LVNs execute clinical and management obligations. There’s a wide range of employment options, depending on your interests.